Lunch break nature photography today with the Canon D10. Here's a quiz for you- Monarch or Viceroy? Hi Tom.. like this photo and it is a Viceroy !! "V" is for victory... and Viceroy. Apparently I didn't fool any body with this Viceroy image! 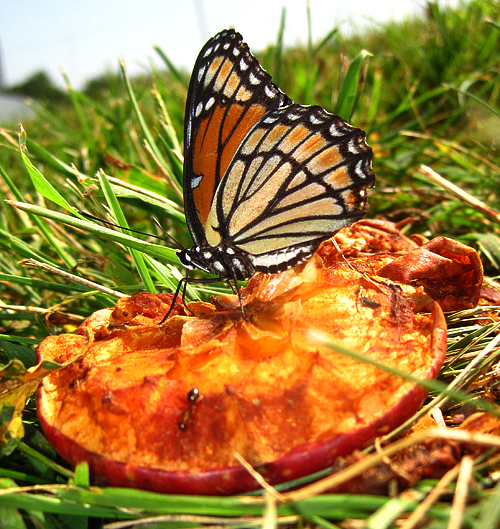 Birder- You are welcome- There were question marks/commas on the rotten apples as well- they seemed to be much more "flighty" than this viceroy, however.